Join us for Beach Reach as we go to share God’s love to spring breakers at Panama City Beach, FL. This is a Lifeway young adult event that gathers Christian college students from all around the country to worship, grow in their faith, enjoy the beach, and creatively share the love of Jesus to the thousands of college students that spend their spring break at PCB. 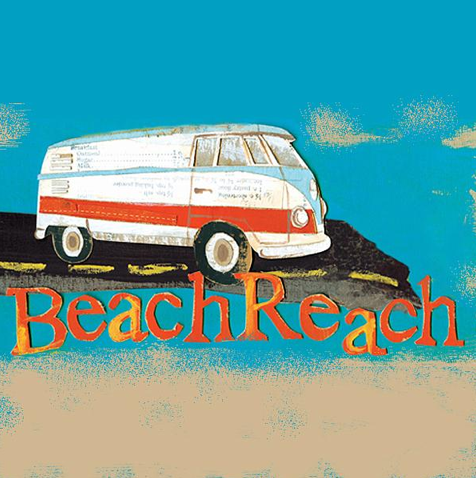 BeachReach is a mission trip experience where servant evangelism takes the form of free van rides and pancakes. Thousands visit Panama City during spring break and many are hurting and searching for meaning. College students provide simple acts of service that open the door to life-changing conversations about the hope and love of Jesus Christ.If you like the beach, van rides, prayer, conversation, being stretched, Jesus, and all-you-can-eat pancakes, then YOU WILL LOVE BEACH REACH! It’s like a christian retreat & fun beach time with friends, meets missions, and training in real life-intentional evangelism like you’ve never seen it. Think this is outside your comfort zone? Thats ok, there are lots of opportunities to serve behind the scenes as well as opportunities to be stretched & grown. And besides, it’s a great way be intentional with your spring break & to grow together in christian community! A $75 deposit is due by November 20th, 2014 to guarantee your spot and a total price of $375. If deposits are turned in after November 20th, the price goes up to $400. These deposits may be refunded at the discretion of BCM staff and only if someone is found to take your spot. Please pay online above through Paypal or bring cash or check (made out to BCM) to BCM staff. Fundraising: In addition please bring a list to BCM staff of 15 names and addresses of local/home churches, family members, and friends that we can send a way-cool support letter on your behalf to let people know about this awesome trip you’re going on, ask for prayer, encouragement, and financial support if able. Every year, thousands of college students descend on Panama City Beach during Spring Break looking to have a good time, but many of them are secretly hurting and searching for meaning in life. BeachReach is a unique missions experience designed to meet these students in some surprising ways and point them towards Jesus through acts of servant evangelism and verbally sharing the Gospel. At BeachReach, college students spend their spring break serving other students through free van rides for those who shouldn’t drive and free pancakes for breakfast each morning. During these interactions, they have the opportunity to verbally share the hope and love that Christ has for them. Throughout the week, attendees also enjoy insightful teaching and worship from some of the best leaders in college and young adult ministry. Saturday 4:00-6:00 pm Registration and Check-In 6:00-7:00 pm Dinner 6:45-8:00 pm Group Leaders Meeting 8:30-9:15 pm Opening Session: Welcome, Intros, Worship, Prayer Time 9:30 pm Tour of PCB Strip/Prayer Walk Sunday 8:30-9:00 Breakfast available for pick-up 9:00-10:00 am Group Leaders Meeting 10:30-noon BeachReach 101 12:15-1:30 pm Lunch 1:30-4:00 pm Distribute cards advertising van rides and pancake breakfast/Free Time 4:00-5:00 pm Leaders & Navigators Meeting 5:30-6:30 pm Dinner 7:00-8:30 pm Worship 8:30-9:00 pm Prep Time with teams/travel to ministry site 9:00 pm-2:00 am Evening Ministry Monday-Thursday 10:00 am-1:00 pm Pancake Breakfast (Rock’It Lanes) *Refer to Logistics Schedule to know when your team works 1:00-4:00 pm Free Time 4:00-5:00 pm Group Leaders Meeting *One leader from each group must be present 5:15-6:30 pm Dinner (Wed. night dinner is on your own) 7:00-8:30 pm Worship 8:30-9:00 pm Prep Time with teams/travel to ministry site 9:00 pm-2:00 am Evening Ministry Friday Breakfast: on your own 10:00 am Check-out and depart for home You will receive a logistics schedule on site with pancake breakfast, dinner, and evening ministry rotations.